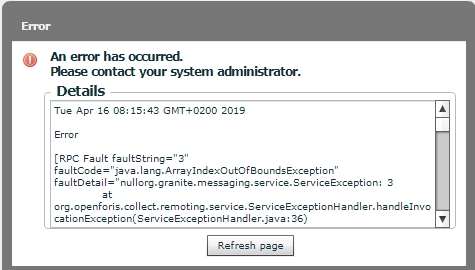 I keep receiving an error message from Java when trying to import (via csv/excel) and/or enter new data into my survey. The survey has been validated and seems ok. Please see the attached image. I am using OF Collect v. 3.24.19. The problem is related to the maximum number of attributes marked as "qualifier" or with "show in record summary list"; now Collect supports only a maximum of 3 of these attributes. We improve the survey validator to include even this validation, meanwhile please fix your survey. Thanks! Limiting the amount of attributes marked as "qualifier" or "show in record summary list" fixed the survey and solved the problem! How to validate attibutes calculated from expression?